Enjoy track 5, Memories of Days Gone By. The second track of the album H.O.T.D. Seems to remind me a little about Paint it Black every time i see the title, not the song though. xP This one is slow song. If you wonder about the lyric writing not the usual 4 line break paragraph, they write the lyric that way, so i just follow it. Enjoy track 2, Color Me Dark. 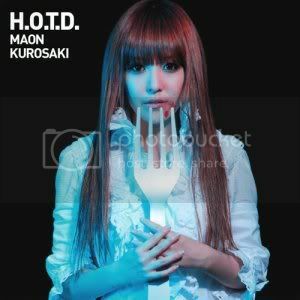 This time Kurosaki Maon’s lyrics from album of 12 different ending songs from every episodes Highschool of the dead titled H.O.T.D. Enjoy Track 1, Kimi to Taiyou ga Shinda Hi.